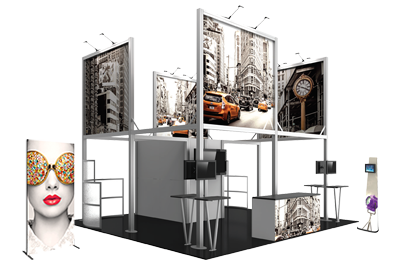 Signs By Tomorrow offers a wide range of portable display products, fabric structures, modular exhibit solutions and display accessories that get your company noticed and give you the critical edge over your competition at any trade show, expo, or convention. 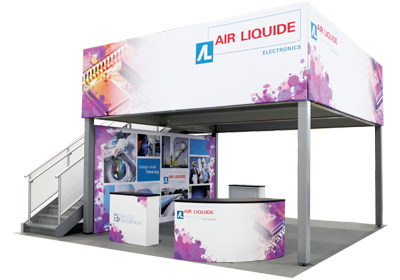 From banner stands, portable signs, popup displays, tension fabric displays to literature racks, lighting, display cases, table throws and more, Signs By Tomorrow is a one-stop-shop for all types of exhibit and display solutions that make professional looking exhibits, at any price. 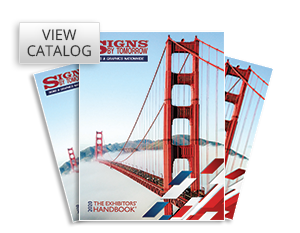 Ask your local Signs By Tomorrow dealer for a catalog. © 2019 Signs By Tomorrow Handbook. All Rights Reserved.